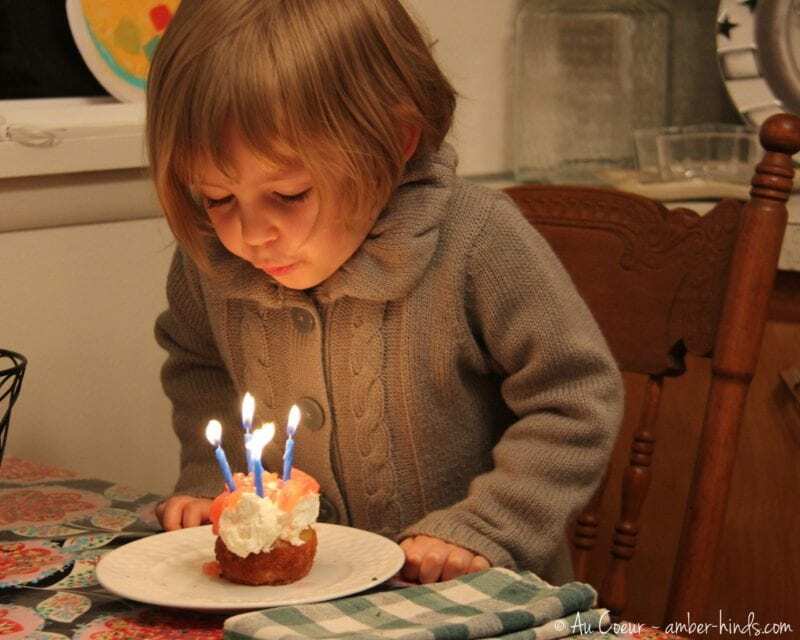 Last Thursday, Nora turned four and a half. Looking at this picture, I can’t help but think how wise she is — some of the things she says to me are just amazing, and I wonder how can she only be 4 1/2? But other moments I find myself tearing up at how quickly she has grown, and I can’t stop myself from lamenting over the increasingly faster pace of the passing years. In less than six months she will be a kindergartner! I know she is ready, but I’m not sure I am. We celebrated, as we do, with cupcakes of her choice, and for the first time ever she made a wish and blew out her candles without telling us her wish. She finally hit the moment of believing wishes must be safeguarded if we want them to come true. Yet another sign that she is growing, growing, growing. Zara went with me earlier in the day to pick out Nora’s half birthday book (she also helped me make the cupcakes), and I had a hard time choosing so we brought home two instead of one. Nora still loves being read to and has an incredible attention span so I decided to skip the picture books and bring home two chapter books to start her collection. 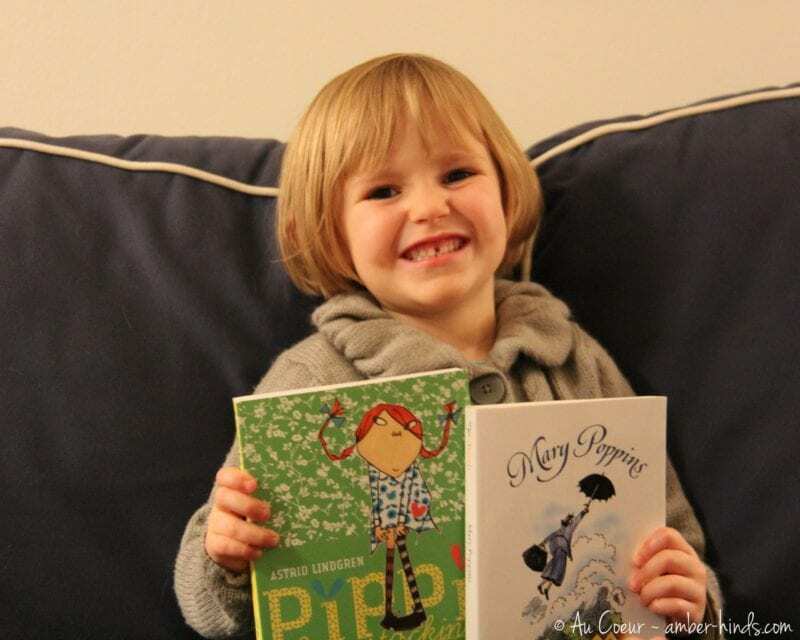 She was incredibly excited to have her very own chapter books, as the ones we have read previously were all mine as a child and are not “hers.” We’ve started working through Pipi Longstocking and she loves it. I’m looking forward to Mary Poppins because it is one that I have never read and I am looking forward to seeing how it might differ from the movie. The rhubarb cupcakes Nora chose from my Martha Stewart Cupcakes book reminded me a lot of strawberry short cake, and were a perfect treat for early spring. 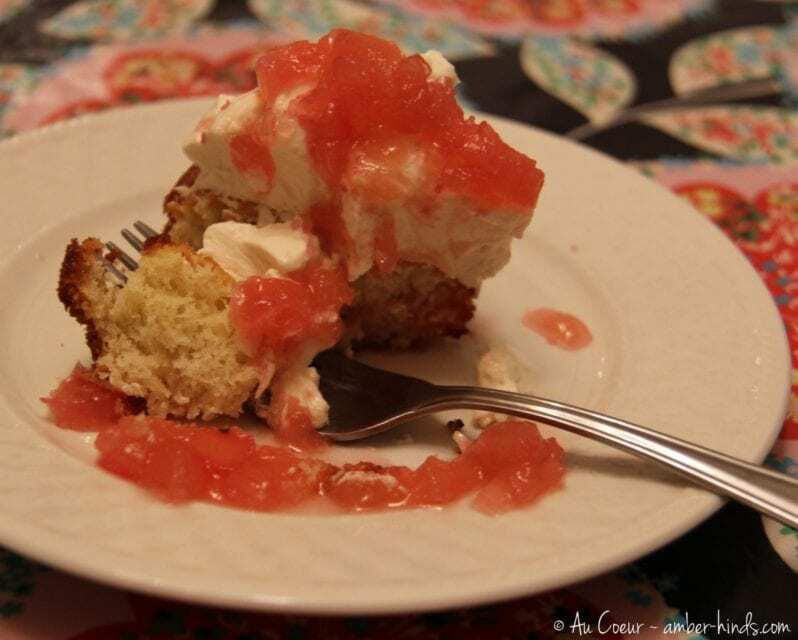 They were a simple butter cake studded with beautiful pink rhubarb, then piled with vanilla whipped cream and rhubarb simple syrup. I think she latched onto them initially because of their sweet pink color, but they were such an ideal treat, not too heavy and appropriate to the season, that I don’t think she could have chosen better and so I had to share them with you all. I hope you enjoy this recipe and, as always, if you decide to make them, let me know how they turn out. Preheat oven to 350F degrees. Butter and flour 18 standard muffin tins or line with paper liners, if that’s your thing (I never do this). Whisk together flour, baking soda, baking powder, and salt in a small bowl. With an electric mixer on medium-high speed, cream butter and sugar until pale and fluffy. Add eggs, one at a time, beating until each is incorporated, scraping down sides of bowl as needed. Beat in vanilla extract. Reduce speed to low. Add flour mixture in two batches, alternating with the sour cream, and beating until combined after each. Stir in 2 cups diced rhubarb. Divide batter evenly among cups, filling each three-quarters full. Bake, rotating tins halfway through, until a cake tester inserted in centers comes out clean, about 25 minutes. Transfer tins to wire racks to cool completely before removing cupcakes. 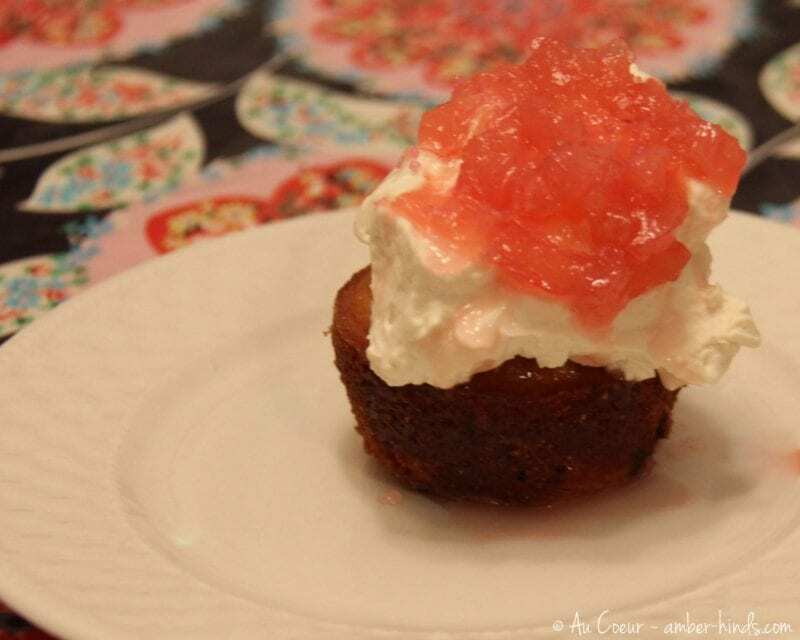 To finish cupcakes, dollop a generous amount of whipped cream onto each cupcake, and top with rhubarb and some syrup. Serve immediately. Add the water and sugar to a small heavy-bottom sauce pan and bring to a simmer, stirring to dissolve sugar. Remove from heat, and stir in remaining 1 cup rhubarb. Let cool completely. Remove rhubarb with a slotted spoon, and reserve. Return liquid to a simmer, and cook until reduced by half, 5 to 8 minutes. Let cool slightly, then return rhubarb to syrup. Once cool, rhubarb can be refrigerated in syrup up to 1 week in an airtight container; bring to room temperature before using. Combine cream, vanilla and sugar in a mixing bowl and whip until soft peaks form.